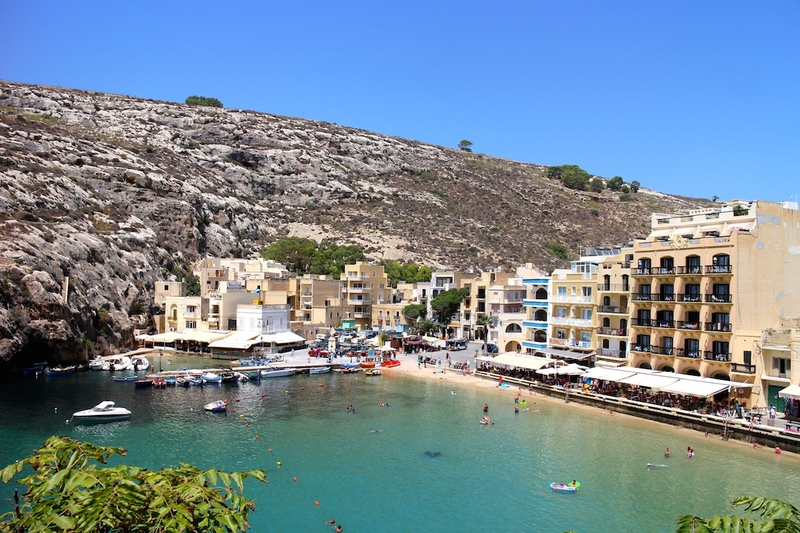 While the island of Malta is a melting-pot of contrasts, a real city schism of high/low, business/play and history/modernity, Gozo, it’s unspoilt sister island a mere 8 km off the southern-most tip of Malta, sways toward the more calm and relaxed side of the destination scales. If you’re looking for hidden caves, pristine bays, fresh seafood and unbelievable rock formations jutting out of the sea like calcified waves reaching for the sky, then exploring this pint-sized island should be at the top of your travel to do list. 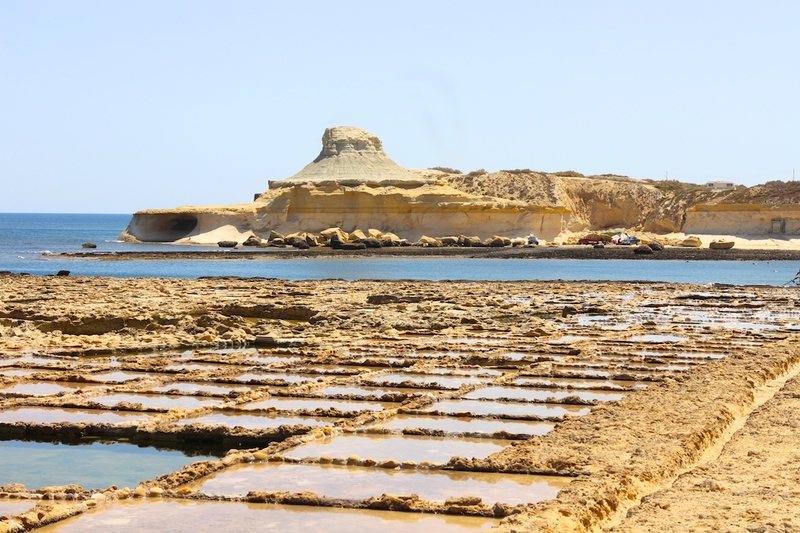 Gozo gives you the sense of complete and utter freedom, the sort of Robinson Crusoe aloneness that’s hard to come by in Europe these days. Don’t get me wrong, there’s plenty to do to quench even the most ravenous beach-goers appetite (and there are still families of tourists around the place – especially in Summer), but unless your in the capital Victoria you’re never really bothered by crowds of people unless you seek them out. For the night owls among us, there are some amazing restaurants with a vibe to match, but during the day when you’re moseying around the (mostly deserted) island visiting the glittering seas from above and below by scooter or boat, you really feel as if you’re in one of the most isolated parts of the universe. Sometimes you’re lucky enough to witness a natural-wonder so awe-inspiring that you feel a sense of insignificance in the world. 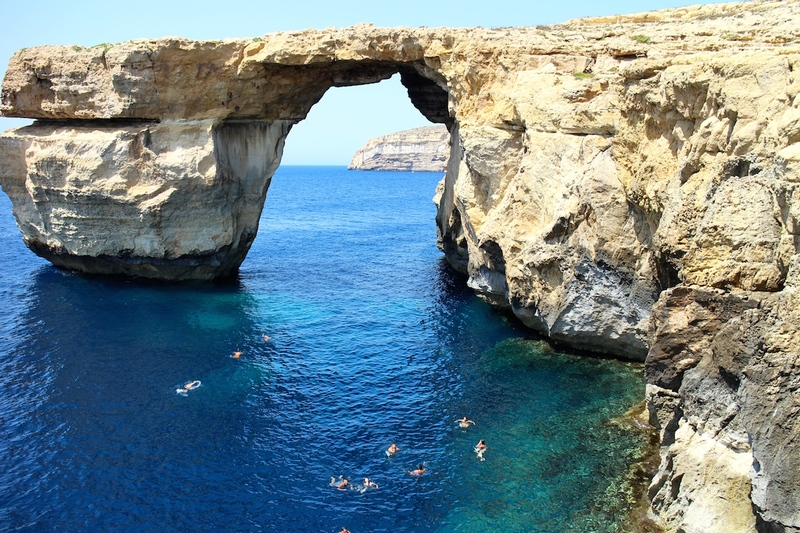 The Azure Window is one of those marvels. With its precarious table-like structure sitting a proud 328 feet above the blue abyss, the towering limestone formation perfectly frames the multi-coloured water below. A large cave known as the Blue Hole lurks beneath the surface and can be accessed via a 262 foot tunnel. A vibrant array of marine life including sea horses and fire worms stand guard, and for the avid divers among us it doesn’t get any better than this! You know those pictures you see of Malta in all the brochures? The ones with swimming pool lagoon-like water filled with small-yachts and sun-worshippers relaxing under cloudless skies? 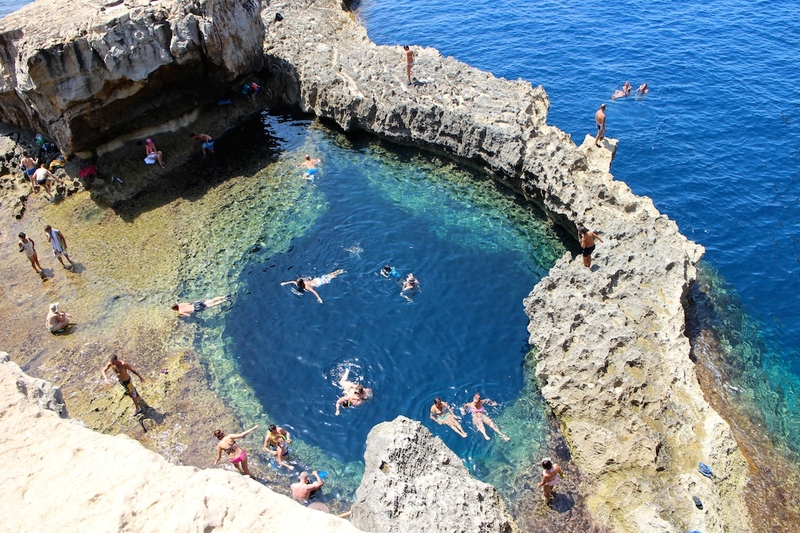 Well the uninhabited Comino Island is where those pictures were taken and I’ll let you in on a little secret – the images weren’t photo-shopped! Many a Hollywood film has been shot in these parts, and you can definitely see why. There’s a ferry that runs back and forth to Comino Island in the Summer from Gozo Harbour every 30 minutes. 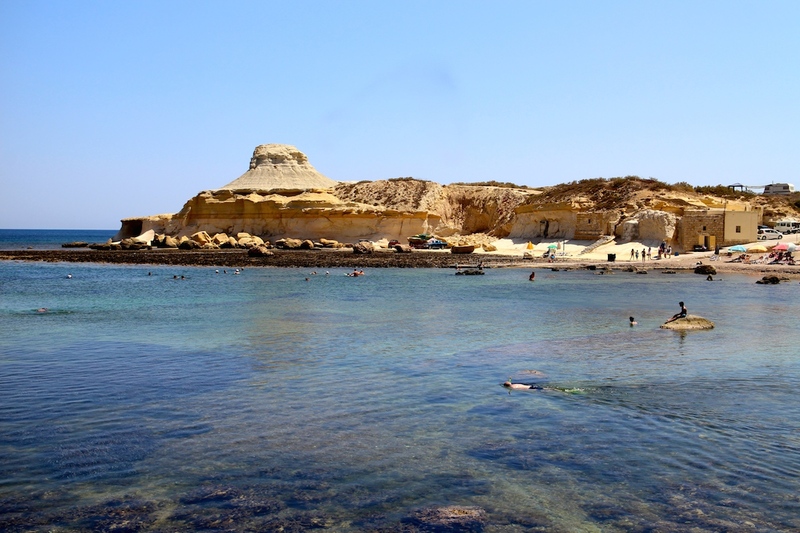 It drops you on the small beach where you can proceed to bask and be blinded by the blue until you feel like catching a ferry back to Gozo. Alternatively, you can charter your own private boat and cruise there for 2-3 hours for about 200 Euro. These can be booked from Xlendi Bay or Comino Harbour. Salt Flats have never looked so cool against a backdrop of dusty yellow and clear-blue sea. Stop by for a little while on your way somewhere else and take to the dude who sells the salt for 8 euro. This traditional Maltese restaurant located in the picturesque Xlendi Bay is an institution in Gozo, and the only place where you’ll need to book in advance. 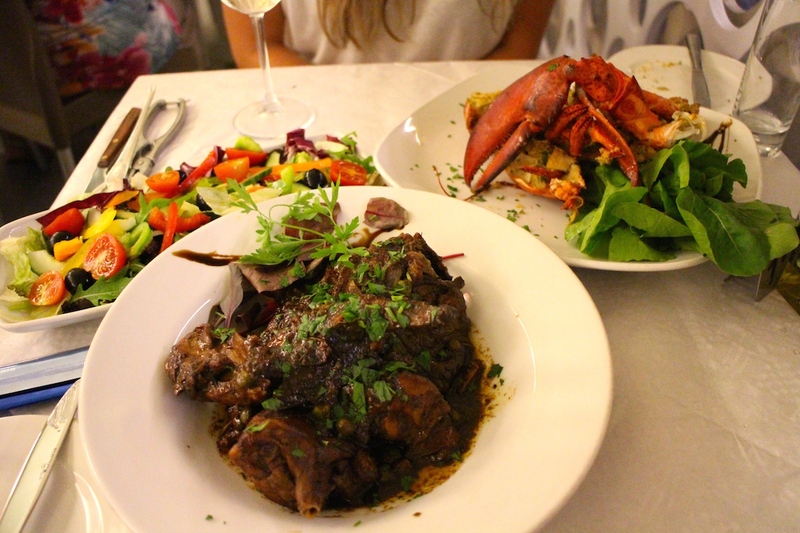 Loads of holiday-makers flock to this eatery to sample the local fare of rabbit, lobster and fresh seafood caught that day. 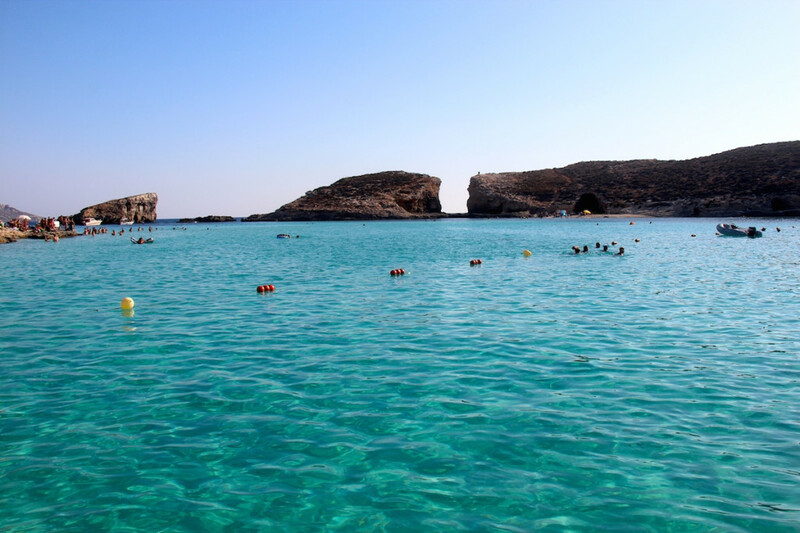 A mere 3 km from Victoria, Xlendi Bay is one of the prettiest places on the island of Gozo. With its inky blue sea and majestic cliffs imposing themselves on the tiny narrow inlet and surrounding the bay in a tight embrace, Xlendi is a must for day-trips or travellers keen to set-up a base in jaw-dropping surrounds. In summer the bay is bustling with holiday-makers, but it’s never too busy – people seem to come and go and the main street always houses just the right amount of people it can comfortably accommodate. The food options are fantastic – with a range of restaurants and café’s overlooking the bay. 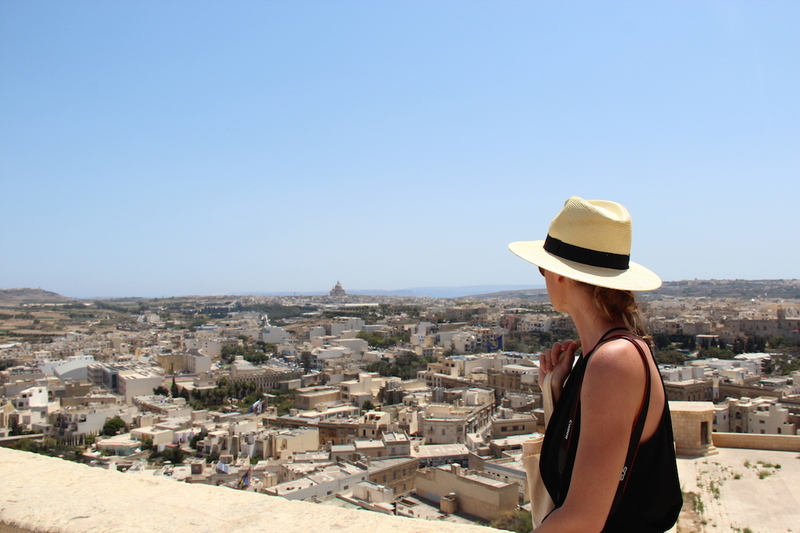 The Citadel is built on one of the many flat-topped hills in the centre of Gozo. It’s origins can be traced to the latter part of the Middle Ages. Up until 1637 the people of Gozo had to take shelter within the Citadel’s walls after sunset, due to the frequent Turkish assaults on the island. 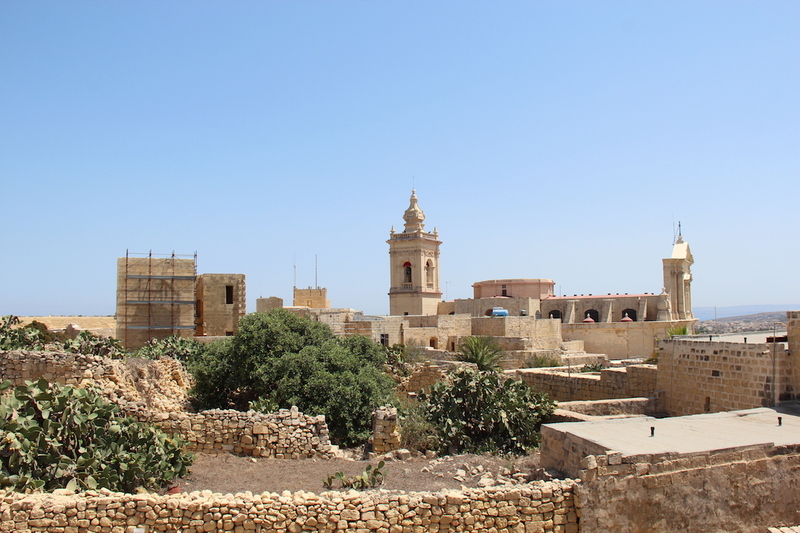 Most of the buildings inside the Citadel are in ruins, but the Old Courts of Law and the Old Governor’s Palace are still used as the Law Courts of Gozo. Also there are the Old Prisons with the Armoury of the Knights, the Archeological Museum, the Natural History Museum and the Folklore Museum. The Cathedral with the Bishop’s Palace and the Cathedral Museum dominate the Citadel. When all else fails, get a boat. I think that’s a saying somewhere in the world (or maybe I’d like it to be). On the day we didn’t have a scooter it was almost impossible to leave our villa – the transport options are limited to cabs or private cars in Gozo, which are both extremely expensive options (I am talking upwards of 20 euro for a 10 minute trip). So we decided to grab a boat tour for the day from Gozo Harbour for 25 euro, which also happened to include a trip to Comino Island. A big fat tick. This was possibly the best decision we ever made because a lot of the rocky cliffs are set high above the water, making them almost impossible to view from the land above. A scooter is handy for getting around but you will be missing out on so much, because being on the water offers an entirely different perspective of the island, it’s hidden caves, arid architecture and beach vistas. You can’t leave the island without sampling a traditional Gozo Platter of a soft and hard cheese, capers, olives, fresh and sun-dried tomatoes, olive oil, homemade bread and onion. They are served as a starter at most restaurants for about 5 euro. Ferries run every half an hour between Malta and Gozo. The trip is short and sweet and takes about 20 minutes. The ferry is air-conditioned, has free WiFi on board and will run you short of about 8 euro return. As mentioned above, cabs and private cars are extremely expensive on the island, but you will need some form of transportation to get around and explore. Make sure you book early for scooter/quad bikes in the summer months (I’m talking weeks in advance)! 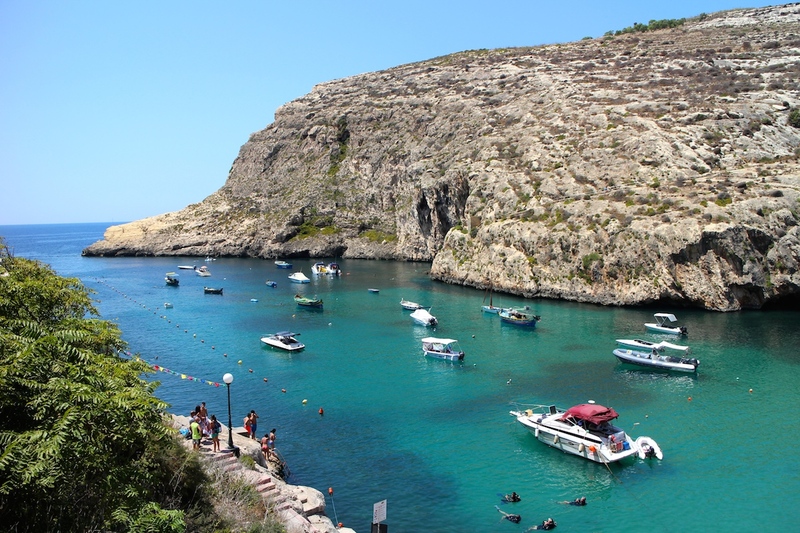 But for now, Gozo remains an island of honey and ochre, covering itself in jewels of azure and deep sea blue.